G.SKILL presents the Trident Z Royal series DDR4 RGB memory kits featuring a full-length crystalline light bar with 8 RGB lighting zones offering a one-of-a-kind illumination. 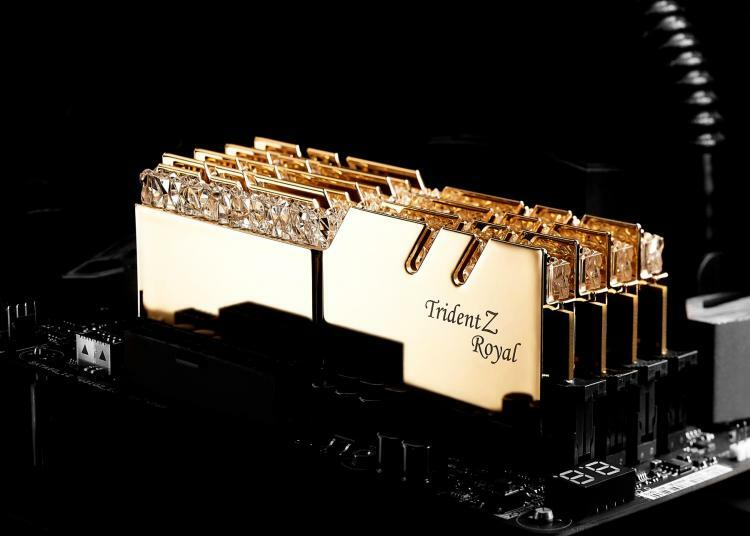 G.SKILL will be offering the Trident Z Royal from DDR4-3000MHz to DDR4-4600MHz upon launch. 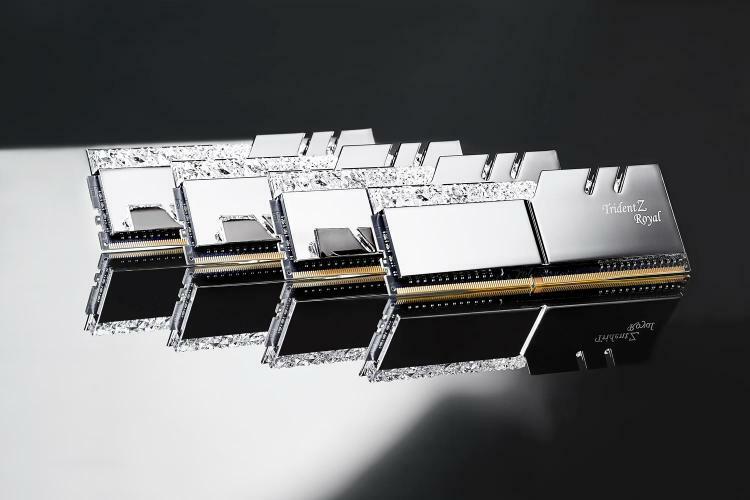 The Trident Z Royal kits are the most classy-looking DDR4 memory from G.SKILL to cater to the aesthetic demands of enthusiasts. The G.SKILL Trident Z Royal is the latest addition to the Trident Z family featuring a meticulously crafted light bar to deliver unique light refraction and illumination. The crystalline light bar scatters the RGB colours which is a patent-pending design with application worldwide. To further enhance the beauty of the Trident Z Royal, it comes with a polished aluminium heat spreader that’s either silver or gold. G.SKILL bundles the Trident Z Royal with a microfibre cloth to help builders clean the heatsink from dust and fingerprints to ensure it always shines in its full glory. The G.SKILL Trident Z Royal features next-generation RGB lighting on memory modules having 8 individually controllable lighting zones allowing more customisations than ever on a memory stick. A new RGB lighting control software is required which can be downloaded at the G.SKILL website. 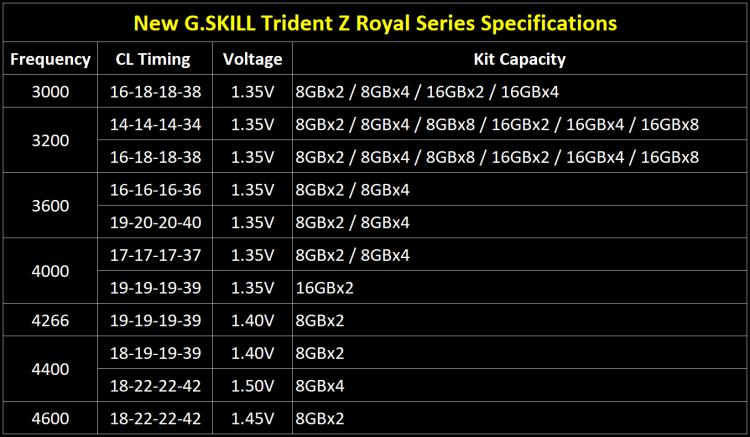 The G.SKILL Trident Z Royal DDR4 memory series will be available worldwide in December 2018.